To make Sri Lanka the Tea Nation of the World. To work in close co-operation with other stakeholders towards the sustainability of Sri Lanka tea industry and enhancing tea export volume & revenue. The Tea Exporters Association was incorporated in 1999 by a group of leading tea exporters with a view to promote and protect the common interests of members who are engaged in tea exports. The privatization of the nationalized tea estates in the mid-90s and the rapid increase in the private tea factories in the same decade was the main reasons that encouraged the tea exporters to band themselves together under the banner of the T.E.A. 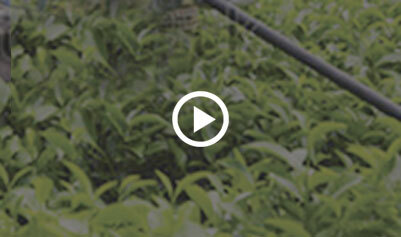 Support the government and industry efforts to increase the tea export volume and revenue. Make policy recommendation to relevant state organizations to create a conducive environment for tea exporters. Provide a level playing field in the tea export trade. Ensure that all teas produced in Sri Lanka are sold through approved channels. To enhance the competitiveness of teas exported from Sri Lanka with a view to maximizing tea export volume and revenue to achieve national goals. To maintain and promote the strong image of Sri Lanka tea industry locally and overseas through the activities of members. T.E.A. membership is also committed to aggressively promote the leading global brand - Ceylon Tea with its Lion Logo. The importance of the T.E.A. was soon felt by the policymakers and was invited in the year 2001 to serve on the directorate of the Sri Lanka Tea Board. With the emergence of many complex issues the T.E.A. became more vibrant and is today the “voice” of tea exporters. Since 2007 it has become a body consulted by the Regulatory authorities, Government Ministries and respective Trade Chambers and many other forums. Currently the members of the association account for more than 85% of annual tea export volume and revenue of the country. A committee of management comprising of 20 leading and a few smaller tea exporters from the membership are elected every year to drive the affairs of the association headed by a Chairman and two vice Chairmen. T.E.A. is currently engaged in assisting the Government’s efforts to increase exports revenue towards the goal of US $ 20 billion by 2020 with a tea contribution of US $ 3-5 billion by that time. Tea Exporters Association formulates Tea Strategy documents regularly and present to the policy makers to drive the industry to meet its future challenges. The association also conducts workshops and seminars on important industry issues to support enhancing the knowledge and skills of the members of the association. It also submits proposals to the Finance Ministry for inclusion in the National Budget. TEA also take up issues in importing countries that affect the Sri Lankan tea exports with respective Government agencies and Foreign Missions here with a view to resolving them through negotiations. TEA also invite world renowned persons on tea marketing, value addition and branding etc to deliver speeches at its’ Annual General Meeting for the benefit of all stakeholders.